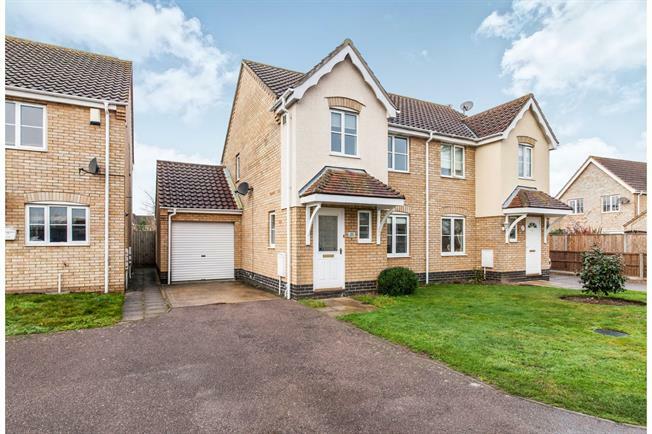 3 Bedroom Semi Detached House For Sale in Lowestoft for Offers Over £190,000. Spacious, modern living and perfectly positioned at the end of a desirable cul-de-sac Beautifully presented throughout, this modern home benefits from an open plan kitchen/dining space which leads out perfectly to the west facing garden. The sitting room is another good size room which leads from the entrance hall next to the ground floor cloakroom. Upstairs, all three bedrooms lead from the landing in addition to the stunning, recently refurbished family bathroom. Outside, the enclosed garden is mostly laid to lawn and good size for those with a young family. The driveway allows space for off-road parking and access to the garage to the side of the property. Early viewing is highly recommended!